When two powerful countries cannot agree on the location of their shared borders, there is trouble. Such was the case with China and India in October 1962. China and India had long disputed ownership of the Aksai Chin, a mountain pass that connects Tibet to China’s Xinjiang province on the western side. 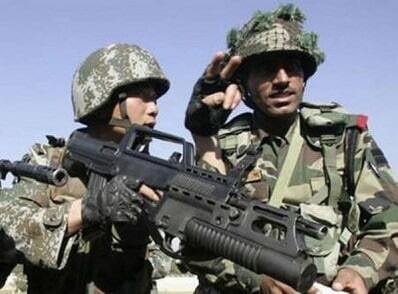 On the eastern border, China and India battled over the territory of the North East Frontier Area (NEFA). 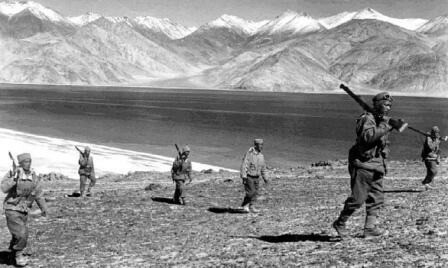 China’s incursions into these disputed areas, including the construction of a highway in Aksai Chin, led Indian President Jawaharlal Nehru to increase the number of troops patrolling the region. 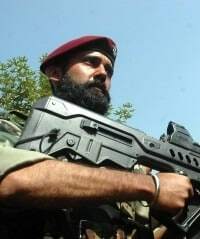 Indian troops soon advanced beyond the disputed borders, creating outposts in Chinese territory. Chinese response was swift. On October 20, 1962, Chinese forces invaded Aksai Chin, a part of Kashmir, and the NEFA simultaneously, capturing both regions and driving back Indian ground forces. This action marked the beginning of the Sino-Indian War, fought at an altitude of 14,000 feet. Charles Stuart Kennedy interviewed Lindsey Grant in January 1990 and Dayton Mak talked to Alfred Leroy Atherton in July 1990. Each observed the situation from opposite sides when tempers flared. Follow these links to read more about China or invasions. The Indians claimed it, but they hadn’t been there enough even to realize that the Chinese were there and building a road through it. Then they tried to push the Chinese out. 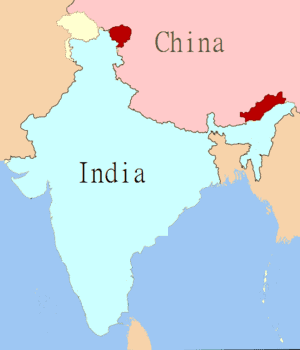 The Chinese were not to be pushed, and retaliated by the attack in NEFA, the northeast frontier territories of India just to the east of Bhutan. The very first thing that happened, literally in the very first weeks of our tour in Calcutta, was the sudden and unexpected invasion by China of the Indian northeastern provinces. The Chinese came across the border into our consular district, in effect. We got there in late summer, and it was fall of ’62 when this sudden out- of-nowhere Chinese invasion came across the border. They poured down into the eastern part of West Bengal, and nobody quite knew where they were going to stop. The Indians asked for help, and the U.S. government saw a chance, with very strong recommendations from Ambassador Galbraith, to increase our stock with the Indian government. We were in a period when the Soviets were seen as the special friend of the Indians. But it was to us they turned for emergency military supplies following this invasion. It was assumed that the airlift, bringing in emergency military supplies, would go to Delhi. But somebody looked at the map and realized that the closest place to unload military supplies for an invasion coming into the upper part of West Bengal was Calcutta. So Dum Dum Airport was suddenly converted from a civilian airport to receive an airlift of American military supplies, on very short notice. And the Consulate was the only official American institution on the spot to help put this together. 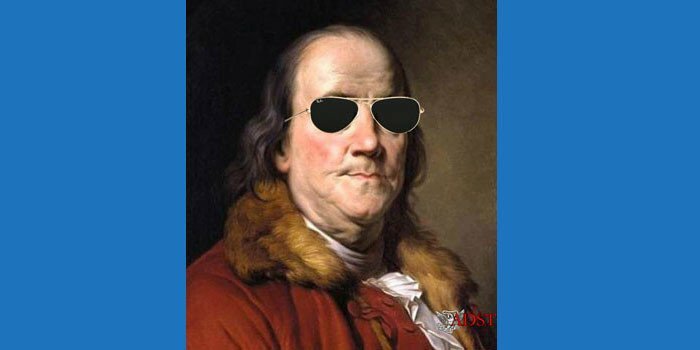 So our job suddenly became, in these very early weeks, organizing communications between the airport and the Consulate and the Consulate and Delhi, finding accommodations, liaison with the Indian military command to whom these supplies were to be turned over. [The pretext for the invasion] is kind of lost in history, but there have always been border disputes over where the border lies between China and India up in the Himalayas. My recollection is that the Indians had been asserting, by forward patrols, their claims to the border being where they said it was. And the Chinese, from their perception, thought the Indians were trespassing on Chinese territory. At least the theory at the time (and I must admit it’s been a long time since I’ve thought about this or even read about it) was that the Chinese decided that the Indians had to be taught a lesson. There has always been enmity between China and India. There is a very strong enmity, which is one of the reasons why the Indians, I think, looked particularly to the Soviet Union. They felt the Soviets were a counterbalance to the Chinese threat. They’ve always seen China as the real threat to them in Asia. The Soviets were nearby, and the Soviets gave them military equipment and helped them economically. And they saw this as a way of balancing the Chinese threat. But it was interesting; it was nevertheless to the United States that they turned for emergency military supplies when the invasion came. Well, the Chinese came quite a long way into India, as a matter of fact. And we suddenly found ourselves dealing with the problem of helping our military and the Indian military liaise and get the system working. Communications were incredibly primitive in just getting messages to Delhi and back. Telephones didn’t work very well; we did not have high-speed radio transmission. It seemed forever, getting through to the Embassy and getting responses, to say nothing of the Department. I don’t know that we had any direct classified telegraphic links at all with the Embassy or the Department. Our reporting was by dispatch, pouch and courier. But somehow the airlift did get put together and worked. Meanwhile we suddenly found ourselves facing an influx of American missionaries who had all been up in this area and had fled, or had been urged to leave, I guess. Technically, we decided on evacuation and got word out through the grapevine network that had been set up under the E&E [emergency and evacuation] plan that they should all come to Calcutta. So the Consul General’s wife, and Betty [Atherton], and Bruce Buttle’s wife, and all of the ladies, and some of the men, too – consular officers – had to work out the logistics arrangements. Fortunately, there were missionary headquarters in Calcutta and most of them could go to their own missions. We had quite an influx of evacuees, some of whom resented having been asked to evacuate. Some of them said, “We wanted to stay with our people, with our flocks.” They felt that they had abandoned their little Christian communities to the Chinese, in effect. It was interesting, this reaction. Many of them were resentful that the U.S. government had asked them to evacuate. But who knows what would have happened to Americans in that area, given the state of U.S.-Chinese relations in those days, if they hadn’t evacuated. In the end, the Chinese left almost as quickly as they came. They didn’t march on Calcutta, which some people were afraid might happen. They were pretty extended, and they had the Himalayas behind them. The Indians were in their own territory, so I think while the Indians were caught off guard militarily, they probably in the end could have held the line. But the Chinese did not stay. They had made a point; they had given the Indians a lesson. And then they withdrew as mysteriously as they came.